Trent Van Alfen serves as a Social Innovation Specialist for GHHI. His background includes teaching middle-school Spanish in Prince George’s County, MD; living in the in the Dominican Republic as a missionary; leading a research site in South Africa for a field experiment on ethnic conflict; serving as a volunteer community development project manager in Uganda; and leading consulting and research projects focused on social enterprise and impact investing. Trent holds an MBA from Georgetown McDonough School of Business where he was a Global Social Enterprise & Development Fellow and a BA in International Relations from Brigham Young University. 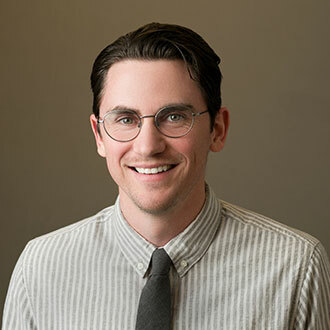 Trent loves his work at GHHI because he is passionate about testing and scaling innovative programs with the goal of improving outcomes for people in low-income communities. He is also passionate about pizza and quite fond of his dog Lenny.